It’s hot, like really hot. I mean it’s almost too hot. Now, I know that I shouldn’t complain about the temperature, after all, these gloriously sunny days really do make one feel alive, it’s just that the heat and I have a love/hate relationship, and after a while I can’t help but crave a cool breeze or two. So yes, the heat loves me, I’m just not entirely sure that I love it back, even if it does mean that I can pose in my sunglasses. If, like me, you’re struggling to keep cool in the heat wave, I have just the thing for you – my guide to summer survival scents, or as I like to call it “Because it’s too hot to wear anything else…” These perfumes are must haves for those days when it really is almost too hot to wear anything smelly. They’ll keep you smelling fresh and clean, and they’ll also act as beautiful olfactory treats that add an extra dimension to the happiest of seasons (depending on your view point, of course). So put down that handheld fan and reach for the spritzer, these guys will get you through the summer! I don’t know about you, but one-way I battle the heat and humidity is with a good old Eau de Cologne. Nothing beats the unrelenting scorch of the sun than the fresh, zesty and herbaceous nature of the cologne, and with their relief-giving lightness these fragrances allow one to smell fresh, clean and pretty darn awesome. 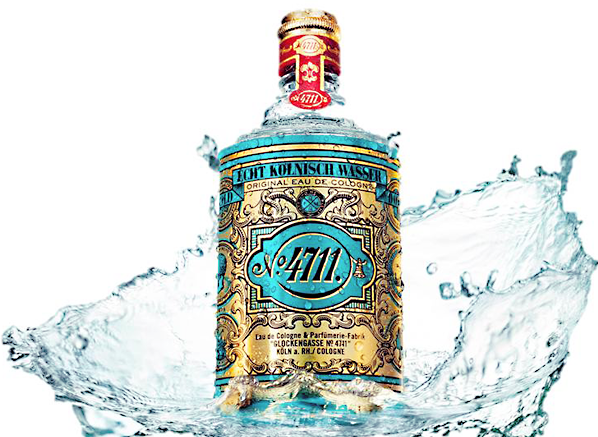 If you’re in the market for a straight forward, no fuss cologne, it’s pretty hard to go wrong with 4711 – the original and one of the best. As far as light and breezy goes, this stuff is easily the best of the bunch, and whilst its unfussy blend of citrus, lavender and neroli may not last a huge amount of time (those unstable citrus notes sure burn off quick) it’s an absolute joy to splash on again and again throughout the day. It’s no wonder that this stuff has survived over 200 summers! For a more refined, long-lasting and grown up cologne to combat the heat, one need look no further than Italian brand, Acqua di Parma. Their flagship cologne, ‘Colonia’, is really quite tenacious for such a scent and it presents the traditional eau de cologne in a warm and herbal manner that is entirely reminiscent of the Mediterranean. My advice? 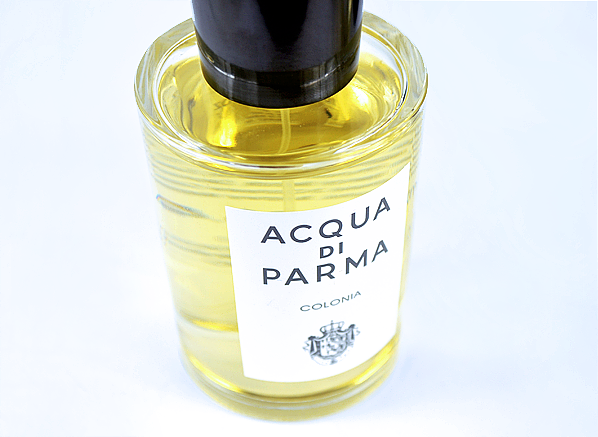 Spritz this on and pretend that you’re on a yacht, cruising the med, not stuck at your desk. Now a decent eau de cologne is all very well, but sometimes one needs a blast of something juicy as the mercury rises. Bright bursting bulbs of fruit can serve as olfactory refreshment when one craves moisture as a barrier from the heat. Citrus fruits are by far the zestiest and most revitalizing, but they can also be tricky to get right and can often be depressingly ephemeral. They are however, some fragrances that manage to provide refreshment and stamina in neat little olfactory packages. For a crisp and long lasting citrus scent I reach for Clarins’ Eau Dynamisante. Trust me when I say that this stuff is an absolute lifesaver in the heat. 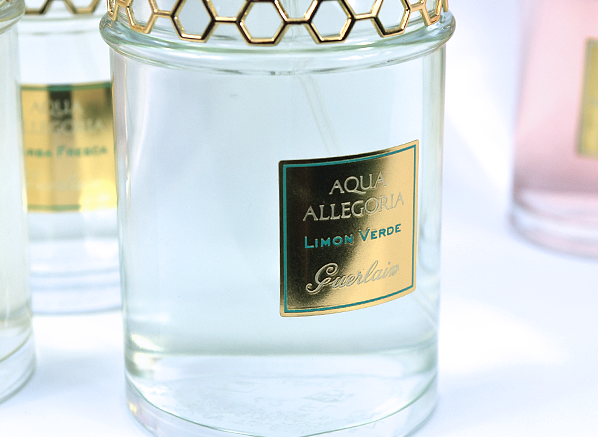 Lemon and petit grain produce a bright citrus opening that dazzles, fizzes and sparkles on the skin. A patchouli-heavy chypre base solidifies the airiness of the top notes, making for a nuanced and contrasting fragrance that smells light and complex, all at once. This one is as important to noses in summer as sunscreen is to skin. If the simplicity of cologne or the mouthwatering tones of citrus aren’t going to cut it for you in this heat, then we’ll have to dial down the temperature considerably with some seriously cold fragrances. I’m talking buckets of ice here, with cool, icy notes of mint and frosty incense. These are perfumes that bring a chill to the skin, arouse the goose bumps and alert the hairs to stand straight on end. The gents amongst us may want to reach for the chilly feel of Jean Paul Gaultier’s Le Beau Mâle – an icy fougère that takes the classic barbershop vibe of Le Mâle and gives it a more angular and slightly less approachable façade. The good news is that this more confrontational approach, thanks to the bitterness of absinthe and the menthol tones of mint, makes for a incredibly cool experience, in both the ‘cold’ and ‘fashionable’ senses of the word. With Le Beau Mâle, one can smell totally ‘in’, even on the hottest of days. Perhaps my favourite ice-cold fragrance, and the one I have been relying on more than any other this summer is Serge Lutens’ L’Eau Froide. This fragrance is not only ‘cold water’ in name, it’s also a babbling brook of icy water that is a welcome relief on those blazingly hot days. Blending together mint, rosemary, pine and incense, L’Eau Froide is a soft and clean fragrance that speaks of silver trees in a barren landscape. It brings an air of melancholy to summer days, but it also smells wonderfully cool. Freshness never smelled so emotional! What fragrances do you wear when it’s just too hot to wear anything else? This entry was posted on Wednesday, July 23rd, 2014 at 4:16 pm and is filed under Candy Perfume Boy, Fragrance, Tried & Tested. You can follow any responses to this entry through the RSS 2.0 feed. You can skip to the end and leave a response. Pinging is currently not allowed. I always think that Miller Harris le petitgrain would be perfect. Top of my wish list would be the Editions de Parfum one that smells of oranges and hay just before a storm – Bigarade? Bigarade is the one! Malle’s new Eau de Magnolia is also fantastic in the heat. I must try Le Petitgrain.